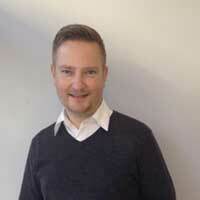 Chris is one of the founders here at Blackheath Hair & Co, which has been going now for 18 years. He has been hairdressing for over 25 years. He really enjoys meeting clients from all walks of life. 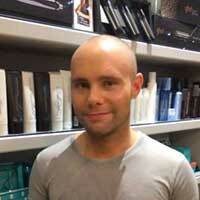 Chris has a calm persona, making his clients feel very comfortable and relaxed. Our other founder of Blackheath Hair & Co is our larger than life Italian, Mickey. With over 25 years of hairdressing under his belt, he has worked on many photoshoots and catwalk events. He has a passion for making his clients feel special. All this he does traveling between London and Italy where he has another hair salon called Little Venice Hair in the beautiful city of Livorno. 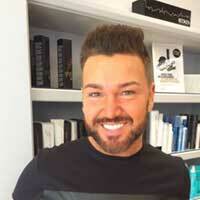 Mickey is in the salon with us for a full week every 8 weeks. Be warned he gets booked very quickly. 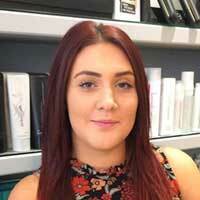 Our Salon Manager Emily is a very creative individual with a thirst for anything slightly different. What excites Emily the most in hairdressing is when a client asks for any kind of vibrant shock of colour, be it turquoise to cerise pink. But don’t panic if that is not quite your thing, her classic cutting and colouring skills are first class too. She’s also a self confessed shopaholic! Artistic Director Danny has a real keen eye for detail. Always meticulously checking each cut with precision, he’s been hairdressing for over 19 years and is still incredibly enthusiastic about his career. His growing list of qualifications include creative colour, Tony & Guy cutting and being fully trained in 5 different colour brands. Danny has some serious knowledge and a great client following to prove it. Our lovely Artistic Director Charlotte has a beautiful personality and a fabulous way with her clients. She is a very talented hair stylist with a great flair for colour. Her absolute favourite colouring technique is free hand, where she creates the most amazing Balayage finishes. Charlotte is always very careful to deliver exactly what her clients have asked of her. The newest member to join the team is Alex. She is friendly, confident and a welcoming individual that really enjoys getting to know all her clients. 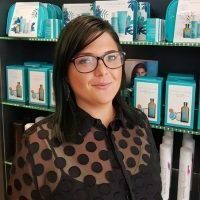 Alex has been working in the hair industry since leaving school in 2005 training in Chelsea, London which is why her hair knowledge and qualifications are pretty terrific. Alex loves all aspects of hairdressing but her passion is hair up (she loves a wedding event) and she also enjoys giving her clients fresh restyles. Outside from the salon you rarely find her without her headphones in as music is her second love after Hairdressing. 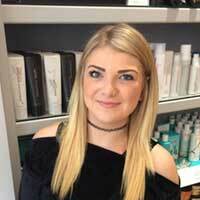 The youngest member of our styling team is our lovely Senior Stylist Kelsey who qualified her NVQ level 3 in 2016. Since then we have watched her go from strength to strength as her experience is growing, along with her growing client following. She is fully competent with all cutting & styling and also in colour, from natural highlights to creative balayage. She’s definitely one to watch.